There are three Japanese writing systems: Hiragana, Katakana and Kanji. All three are used concurrently in written Japanese. 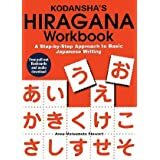 The general rule is that Hiragana is used for particle sentences, verb and adjective endings; Katakana is used to write foreign loan words; and Kanji is used for names and other nouns, adjective and verb stems. Although that is the general rule, it is not set in stone. There is a lot of mixing between the character’s usage. Hiragana and Katakana are phonetic, meaning that each symbol represents a specific sound. Hiragana and Katakana each represent the same sound system and for each symbol in Hiragana, there is a corresponding Katakana character that makes the same sound. Katakana and Hiragana are both derived from Kanji and were developed during Japan’s Heian period (794 to 1185AD). Hiragana, with its curvy features, was developed as a writing tool for women and was the only script women were allowed to learn in ancient Japan. The angular Katakana was created by Buddhist monks to record scripture. Here is a chart with the Hiragana and Katakana symbols next to each other. The Hiragana symbols are on the left, the Katakana symbols are on the right. Kanji is a logographic system. This means that each Kanji represents an idea or concept, as well as a morpheme. Kanji is composed of parts called radicals. Every Kanji has a sound and meaning radical. Although Kanji originated in China, they have deviated from their original Chinese ancestors in many ways. Over the centuries, the Japanese have slightly, and sometimes significantly, altered the look and meaning of various Kanji and changed the pronunciation greatly. Students in Japan are taught the Joyo Kanji list. This is a list of 2136 Kanji that are allowed to be used in newspapers. Knowing the Joyo Kanji is the minimum expected of Japanese people to be literate, although many more Kanji exist and are used in novels and other literature. The total list of Kanji is far too numerous to list on this page. Instead, we will list some Kanji as examples. If you’re interested in learning Japanese script, please check out the books below.